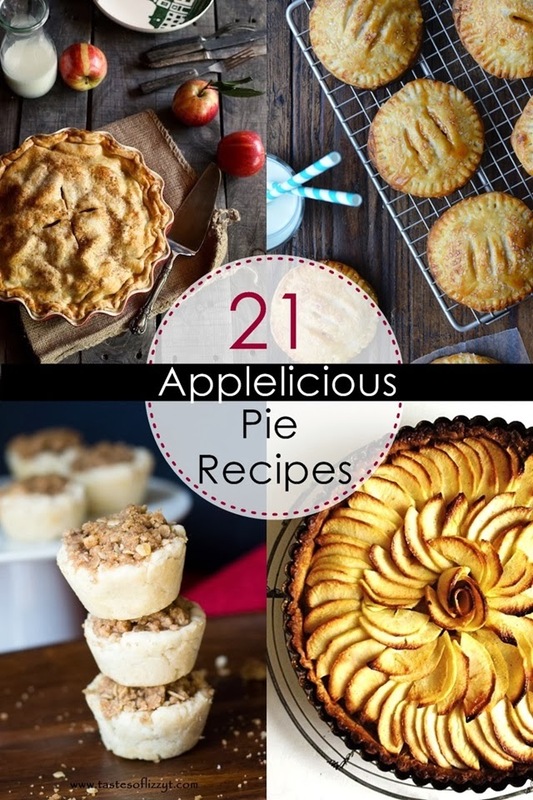 In celebration of national Pi Day on March 14, I'm starting off the month by sharing some delicious apple pie recipes! (Get it?) I must admit, I'm not a big pie fan. I know, I know, I'm weird. Most just don't do it for me, except for one. And that's the one and only Apple Pie! I mean, there's nothing like warm apple pie right out of the oven, or a la mode with a big scoop of vanilla ice-cream on top, or just the smell of it baking in the oven. MMMMM. My mouth is watering just thinking about it!!! I gathered up a few of my favorite applelicious recipes in this cool Foodie widget to share with you. From salted caramel hand pies, to cheescake apple pie, and even apple pie ice cream sandwiches!! Everything to satisfy apple lovers like myself. Bon appetit! Which recipe are you dying to try? This is a sponsored opportunity with Foodie.com - All opinions are my own.